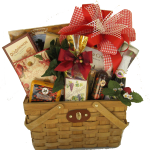 What is Gift Basket Network? Increase traffic and sales for your website with a listing that includes links to your website. 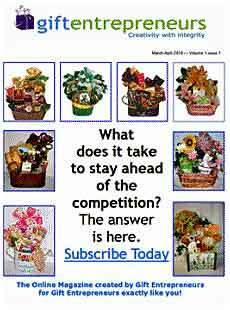 Our monthly pdf magazine, filled with information to help you grow your business, is delivered to your email box on the first day of each month. 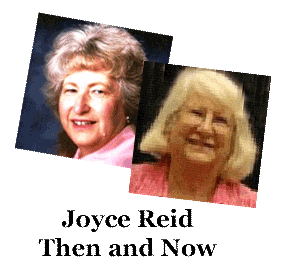 Sharing information in Facebook groups, E-books, and our Success Express articles and more. The statement “we have been there and done that!” is an honest one. Going all the way back to 1992, we created a local gift company, Creative Gifts to Go, that mushroomed into a national one. In 2002, we added GiftBasketNetwork, a worldwide directory of gift companies that sends traffic to our member companies. Many of those original members are still with us today. On March 1st, 2010, we sent out our very first issue of our digital magazine. It was originally called Gift Entrepreneurs until Entrepreneur Magazine said we were violating their trademark for the word Entrepreneur. 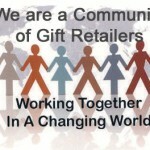 We made lemonade from the lemons they threw at us and changed the name to Gift Retailers Connection. 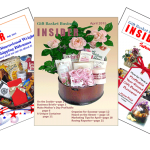 In 2015, we made the decision to concentrate on the Gift Basket industry instead of the broader gift retailers resulting in our final name change to Gift Basket Business Insider. “Gift Entrepreneurs began as a seed planted on one of the forums last November when the final issue of Rave Reviews was announced. The idea took root, sprouted and evolved into what you have before you today. It slowly evolved as we worked through our own busy holiday season to meet the deadline we set for ourselves. And it will continue to evolve. It is a work of love created with the help of many people just like you. Even though I‘ve published a statewide newspaper, none of us are publishers. We aren‘t unique, special, or different in any way. We are all owners of gift companies who struggle with the same daily business problems and life as you do. When we announced our intentions and put out a call for help, the response was tremendous. We couldn‘t have done it without the contributions from all of you. All of you who responded are responsible for what you see here and we thank you! Our purpose isn‘t to create a gorgeous slick magazine but to create one that is easy for you to use, provides information that you will find valuable enough to read and even to print out and to keep. In today‘s economy, producing a quality print publication is expensive and risky. This online version is what we consider to be the next best thing. The reason you are in business is to make money. In Gift Entrepreneurs, we will attempt to help you do just that by showing photos of designs that actually sell and printing articles to help you grow your business. In each issue, we will include information for those who are just opening their doors as well as for those of you who are long-time veterans. This isn‘t our magazine. It is your magazine. We invite you to submit proposals for articles, design photos, and even show us your workshop. Your ideas, suggestions, feedback, and even criticism is welcomed and encouraged! Those words that I wrote those many years ago still ring true today.